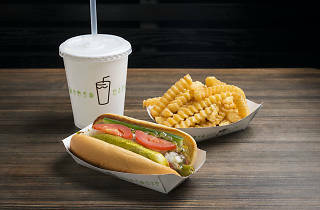 Hot dogs aren’t the first things to comes to mind when thinking of Shake Shack. But the fast food burger chain actually started off as a hot dog cart in New York City’s Madison Square Park, which explains their expertise in making delicious wieners. 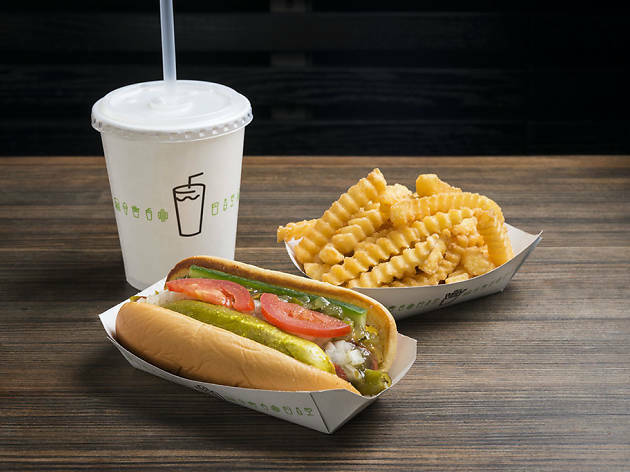 The Shack-cago dog proves to be the biggest crowd-pleaser, featuring an all-natural Vienna beef sausage topped with a medley of yummy condiments including relish, onion, cucumber, pickle, tomato and mustard. Pair it with a side of crispy crinkle cut fries and we promise you won’t be disappointed.